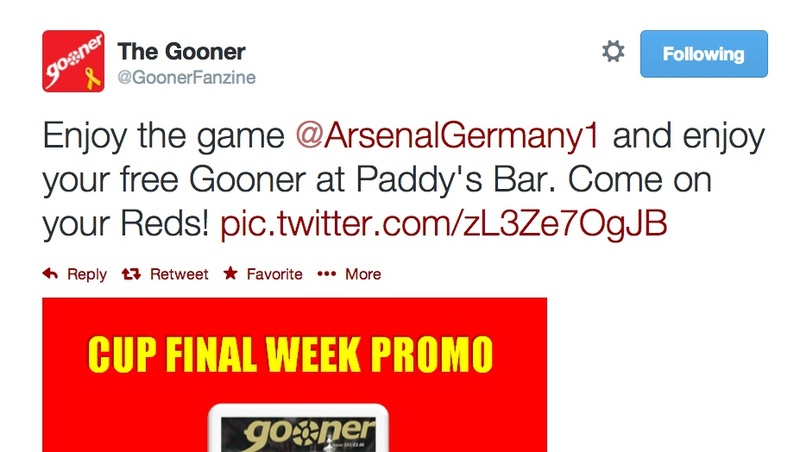 The Gooner is the fanzine for the Arsenal Football Club. Saturday was a big day, as the Arsenal have not won a big trophy for 9 years. The Gooner did a great job of whipping up international interest — and attracting new readers and subscribers to their magazine app using the Exact Editions ByPlace promotional tool. 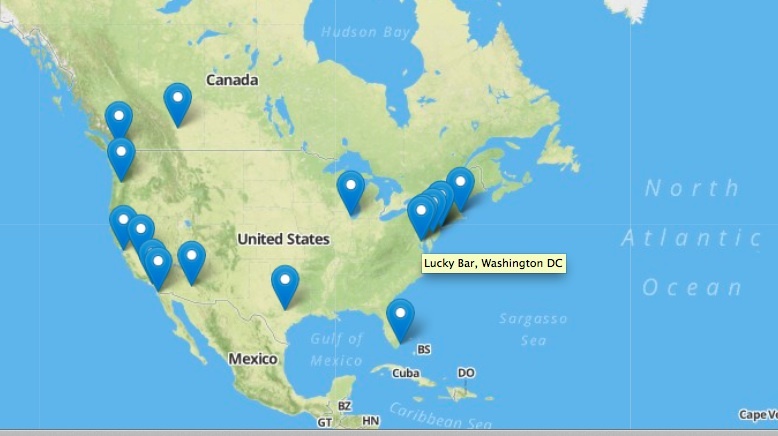 The publisher of the Gooner decided to make the app free for full access at a variety of locations (mostly bars) across the world. The publisher of the Gooner had figured out that by using the free ByPlace tool on his publisher account at Exact Editions it would be practical to offer free samples of the magazines at all the principal bars where Arsenal fans would be meeting and drinking to watch the match. Since many of these bars follow thegooner account on Twitter, it is highly feasible to set up these arrangements in front of the game. For example by sending a tweet to Paddy’s Bar in Hamburg. Clicking through on the link tells the supporter exactly how to access the free app in the bar. 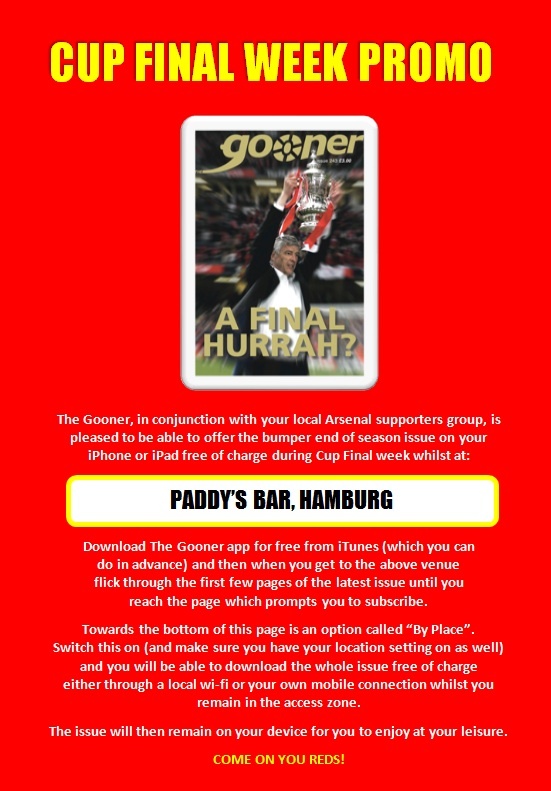 The Gooner figured this out and launched a promo campaign that pinpointed free app access in 40+ bars. Zero cost and a few hours of planning and work with Twitter and Facebook. See the Twitter stream here and here. And the Arsenal team won the cup, after going 2-0 down in the first ten minutes.